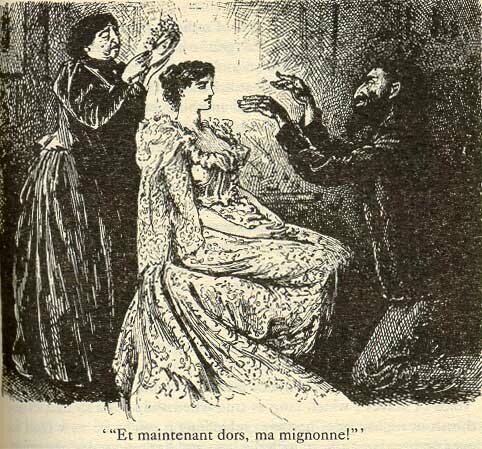 The most popular novel in America in the 1890s was the English translation of George du Maurier's Trilby . Readers were fascinated by the character Svengali and his ability to dominate the innocent milkmaid Trilby through hypnosis, lifting her to great heights as a professional singer but ultimately causing her demise. 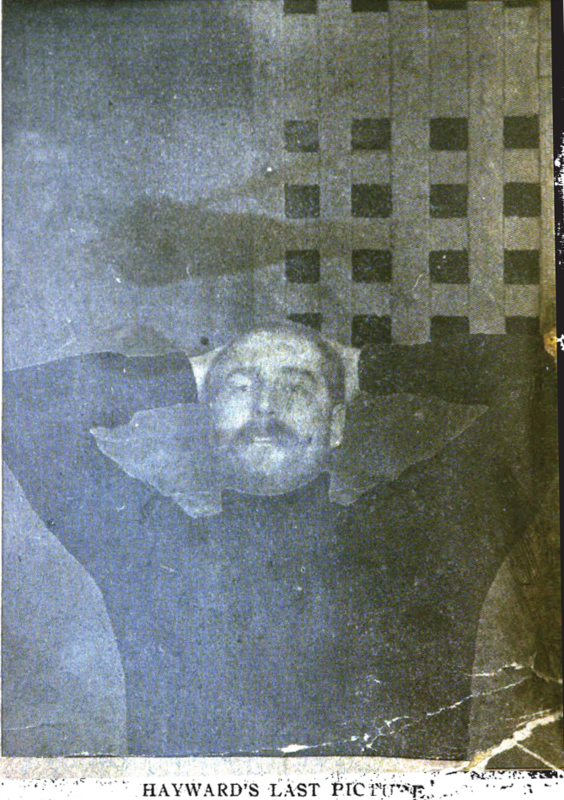 The Minneapolis press saw a parallel between Svengali and Harry Hayward in the murder of Catherine Ging. Catherine Ging – known as Kitty to her friends— was a tall, imposing woman, described as handsome rather than beautiful, but she had her share of beaus. Kitty had come to Minnesota form New York State, rumored to be running from an ardent suitor. 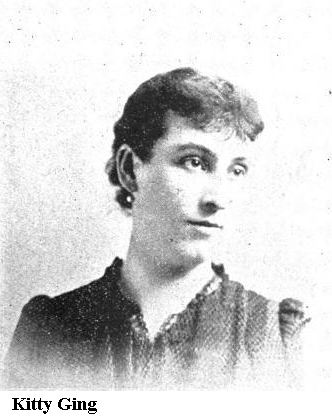 In Minneapolis she had been engaged to Frederick I. Reed, a clerk at the Golden Rule Department Store. The engagement was off, but she still carried the engagement ring in a chamois bag she wore around her neck. Kitty worked as a dressmaker and lived in an apartment in Ozark Flats, a building owned by Harry Hayward’s father. Harry and Kitty struck up a relationship but how intense is open to interpretation. At one point Harry Hayward claimed that Kitty Ging had agreed to marry him, but it was well known that they both were seeing other people. There is no question, though, that Kitty Ging was seduced by Harry’s plans to acquire wealth. She had lofty ambitions and Harry had said more than once, “Money is my god.” She listened intently to his plans to sell stolen jewelry and pass counterfeit currency. And she never hesitated to front Harry money for his gambling ventures. The night of December 3, 1893, Catherine Ging hired a horse and buggy from the Goosman livery stable. She even requested the horse by name – a gentle buckskin mare called Lucy who Catherine had driven before. She had it sent to the West Hotel and there, at 7:08 p.m., she took the reins and drove away. At 9:10, Lucy returned to the stable pulling an empty buggy. Around the same time the body of a young woman was found on Excelsior Boulevard, in the outskirts of Minneapolis, skull crushed, lying in a pool of blood. Putting the two events together, police were able to identify the woman as Catherine Ging and assumed she had died accidently. 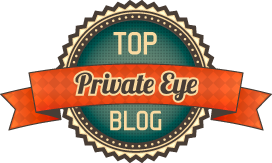 The body lay in the morgue over an hour before a doctor noticed a bullet lodge behind her left eye. While police were questioning residents of Ozark Flats, before the body was positively identified, Harry Hayward arrived to give his opinion. “My two thousand dollars is gone to hell.” He said. “It’s nobody but Miss Ging. She has not been hurt in any runaway accident; she has been done up for her money." 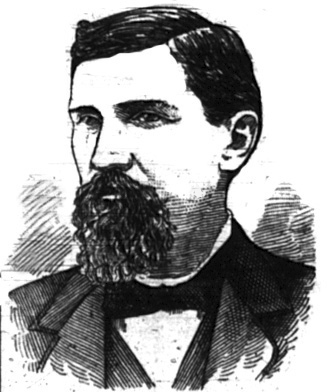 Frederick Reed, Kitty’s ex-fiancé, was the first suspect. He was brought in to the police station and questioned for several hours before the police believed his alibi. Miss Lillian Allen was another suspect. She and Kitty had, for a time, been rivals for Mr. Reed’s affections and she had abruptly left Minneapolis. But she also had an alibi. In Kitty’s apartment police found a torn up note that read “I cannot marry you.” It had been written by Harvey Axford, a travelling salesman who had known Kitty for seven years. He could not marry her because he already had a wife and residents of their boarding house heard them talking the night of the murder. He was also rejected as a suspect. While not above suspicion, Harry Hayward had an alibi as well. He had been with his friend, Thomas A. Waterman, most of the evening, then took Mabel Bartleson to the Minneapolis Grand Opera House to see the musical play "A Trip to Chinatown." Hayward was questioned extensively and his answers had been open and forthcoming. He took an active interest in the investigation, and volunteered information about Catherine Ging and his relationship with her. 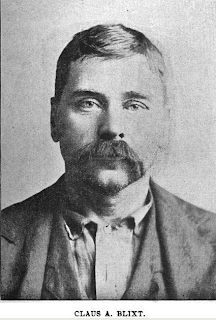 In spite of his cooperation, Harry Hayward was arrested on December 6, along with his brother Adry, for the murder of Catherine Ging. The following day Claus Blixt, janitor at Ozark Flats was arrested as well. The murder plan had been in the works for several weeks. Harry had agreed to loan Kitty some money and he persuaded her to take out a life insurance policy, with Harry as beneficiary, as collateral. While not above doing the deed himself, this plan required someone else to pull the trigger. He went first to his older brother Adry and asked him to kill Kitty Ging. Adry absolutely refused. The plan so frightened him that on November 30, Adry went to the family lawyer Levi Stewart and told all. Stewart dismissed the story at the time but after the murder occurred he took the story to the police. The man Harry finally persuaded to do the dirty work was Claus Blixt. 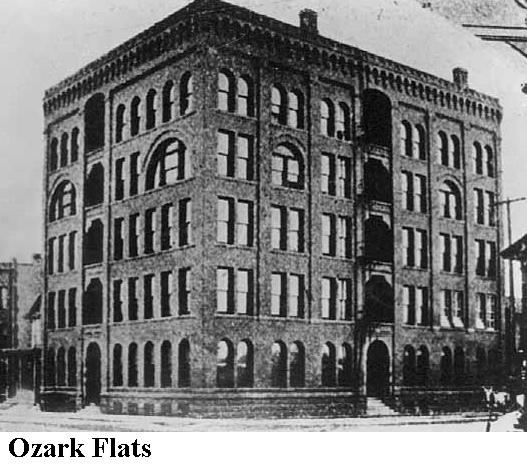 He would visit Blixt in the basement of Ozark Flats nearly every day. Through a combination of threats and promises he convinced Blixt that he had to kill Kitty Ging. The day of the murder Harry told Kitty he needed her help in a “green goods” deal—they were going to buy counterfeit currency. She was to take some money and go with Blixt to the outskirts of town. Harry would meet them there with the counterfeiters. That night he gave Blixt a 38 caliber Colt revolver and a quart of whiskey. He told Blixt to drink it all. Under intense questioning by the police Adry broke down and told all. He claimed that he and Blixt had both been hypnotized by Harry. Claus Blixt was scheduled to be tried first, but the prosecution made sure the trial dates were switched. They feared that if Blixt were tried first and found not guilty it would be impossible to convict Hayward. Harry Haward’s trial lasted forty-six days, ten of which were taken up filling a jury with men acceptable to both sides. Harry was defended by W. W. Erwin, who was considered the most distinguished advocate in the Northwest. 136 witnesses were called but the most damning testimony came from Claus Blixt and Adry Hayward. The defense tried to have Adry’s testimony ruled out on the grounds that he was insane but the judge disagreed. The climax of the trial was when Hayward testified in his own defense. He denied everything and place the blame on Adry and Blixt. The case went to the jury at 11:30. They deliberated, had lunch and returned at 2:15 with a verdict of first degree murder. The case was appealed but the verdict was upheld and Harry Hayward was sentenced to hang on December 11, 1895. The death sentence had little effect on Harry who continued to joke with reporters about his execution. At first he was granted privileges in prison and allowed to have callers but after an escape attempt he was kept isolated. Claus Blixt pled guilty and was sentenced to life in prison. Harry maintained his innocence almost until the end. 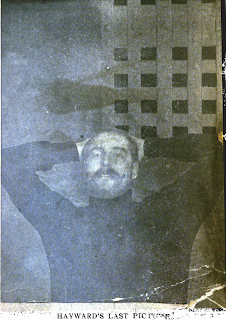 The evening before his execution he agreed to give a complete confession to a reporter and a court stenographer. The confession was a long and rambling tale in which he admitted to committing several murders and other crimes in his travels throughout America and Mexico. He saved the Catherine Ging murder for the end, on the off chance that his sentenced would be commuted before he finished. He ultimately admitted to plotting the Ging murder and took back his accusations against Adry. Though he confessed he showed no sign of remorse for Catherine Ging’s murder or any of the others. Harry Hayward went to the gallows nattily dressed in a cutaway coat and pinstriped trousers. His last words were “Pull her tight; I’ll stand pat.” The trap was sprung at 2:12 a.m. but the fall did not break his neck. Hayward slowly strangled to death; he was pronounced dead at 2:25. After his funeral a rumor persisted that Harry Hayward was not dead, that he was revived by a secret organization. Some said the Masons had resurrected him. Trenerry, Walter N. Murder in Minnesota,: A collection of true cases (Publications of the Minnesota Historical Society) . St. Paul: Minnesota Historical Society, 1985. Goodsell, Edward H. Harry Hayward: Life, crimes, dying confession and execution of the Celebrated Minneapolis Criminal. 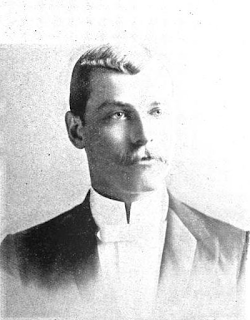 Minneapois: Calhoun, 1896. Learned of Harry Hayward today at the Hennepin History Museum and wanted to know more. Thanks for an interesting bit of Minnesota history.